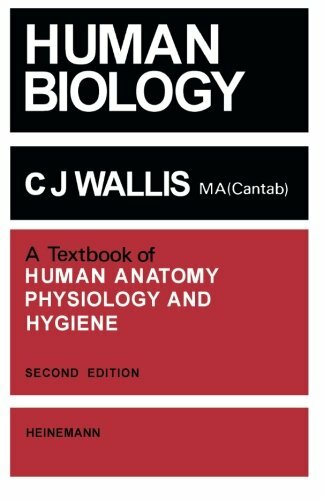 [PDF] Human Biology: A Text Book of Human Anatomy, Physiology and Hygiene | Free eBooks Download - EBOOKEE! Description: Human Biology is a textbook on human biology and presents facts and details about a number of diseases as well as organ transplants, antibiotics, and anesthetics. Other topics include world food, drug addiction, smoking, and lung cancer and the effects of radioactivity. The important subject of environmental pollution is also discussed. Some of the common disorders and diseases of the various systems are mentioned at the end of the chapters in addition to the characteristics of certain specified diseases. Comprised of 34 chapters, this book begins with an overview of man and his origins, as well as human biology and the human body. The discussion then turns to cell structure and tissues the skin the skeletal system and joints. The biochemistry of foodstuffs is also examined, along with digestion and the alimentary system the cardiovascular system maintenance of body temperature the genital system and reproduction and hormones and the endocrine system. In addition, the book considers antibiotics, drugs, and anesthetics, as well as vectors and other parasites affecting humans. This monograph is intended for student nurses and potential medical students, as well as for non-science students and general readers who wish to learn something about the human body and its health. No comments for "[PDF] Human Biology: A Text Book of Human Anatomy, Physiology and Hygiene".